Floyd Burton Jones' father was a pharmacist who was interested in local politics in Shackelford County, Texas. This had the effect of making Jones grow up wishing to be a lawyer, for his father mixed with the top lawyers of the County. Jones won a Regents' Scholarship to study at the University of Texas and when he entered the University he was certainly still intending to become a lawyer and he enrolled in the pre-law program. Law is a subject which requires a student to be able to memorise large amounts of information and Jones soon discovered that this was not one of his strengths. Although one can see how this might have led him to mathematics the route was not as simple as that for the topic which he decided to take up instead of law was chemistry. Lawyers do not need to study mathematics but chemists do, and so at this point Jones took mathematics courses. Soon he was taking more mathematics courses than he needed for his chemistry degree since he was enjoying them so much. Perhaps the main factor which led Jones to finally decide to become a mathematician was R L Moore. He quickly spotted Jones's talents for the subject even when he was only taking the mathematics courses necessary for the chemistry degree. Moore did not try to make Jones change degrees for a second time and indeed he did complete his chemistry degree in 1932. At this point Moore showed how deeply he believed in Jones's mathematical ability for he offered him a job as a part-time mathematics instructor. This was too good an offer to refuse so Jones took up the post in September 1932 and at the same time he began studies for his doctorate in mathematics. His first publication A theorem concerning locally peripherally separable spaces was written at this time and appeared in the Bulletin of the American Mathematical Society in 1935. He joined the Faculty at the University of Texas as an Instructor in September 1935, after being awarded his doctorate in that year, and he was promoted to Assistant Professor in September 1940. In 1942 Jones left the University of Texas to undertake War work at Harvard Underwater Sound Laboratory where he helped develop scanning sonar used in anti-submarine warfare. In 1944 he returned to his post at the University of Texas where he remained as Associate Professor until he was offered a full Professorship at the University of North Carolina at Chapel Hill in 1950. There he was Chairman of the department of Mathematics until 1962 when he accepted a Professorship at the University of California at Riverside. He remained there until he retired in 1978. Jones wrote 67 papers, his first in 1935 being on separable spaces, while his third in 1937 on normal spaces is one of his most important. he then weakened one of Moore's Foundations Axioms, showing that the weakened axiom together with the other axioms implied Moore's stronger version. He also wrote many papers on homogeneous continua. When Burton Jones posed the normal Moore space problem in 1933, he probably had little inkling of the role this problem would play in the history of point-set topology. It has given rise to hundreds of papers in topology and quite a few (and their number is growing!) in set theory as well. But more importantly, it has helped to generate interest in topology by set theorists, and it has kept us point-set topologists happy with our subject by giving us a tantalizing set of problems and partial results for us to think and talk about. 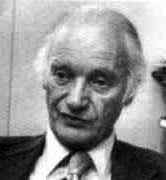 ... as brilliant as Jones' research was, it was overshadowed by his great skill as a teacher and his work as a human being. In fact, his main interest was teaching and introducing mathematics to the upcoming generation. ... the magical power of Jones in the classroom - a master who breathes the very life of mathematics into his students. I like to state false propositions (just as if they were true) for students to prove. And quite frequently I state a number of definitions and ask students to formulate some theorems using them. I feel that examples (and counterexamples) are very important for both understanding and motivation. In particular one's intuition is aided by examples of spaces that do not satisfy the axioms as much as by examples that do; for instance, (in my approach to general topology) topological spaces (even compact and Hausdorff) that are not semi-metric and semi-metric spaces which are not metric. And its nice to have a sequence of theorems which are useful but which can be proved by everybody. Elementary properties of connected point sets can be formulated into a sequence of this sort. It is a good plan to encourage students to change a theorem until they can prove it; weaken the conclusion or strengthen the hypothesis or both. This helps to avoid frustration and is good practice. The instructor should convey confidence, especially in the beginning. The students should soon learn that some things he can do quickly but others may take effort and time. Given six months practice, a student who never thought of a proof in his life and didn't know how to start, may develop to the point where he can settle almost anything you propose. I find this very rewarding and satisfying. It happens often enough to keep one's enthusiasm for teaching vitally alive.